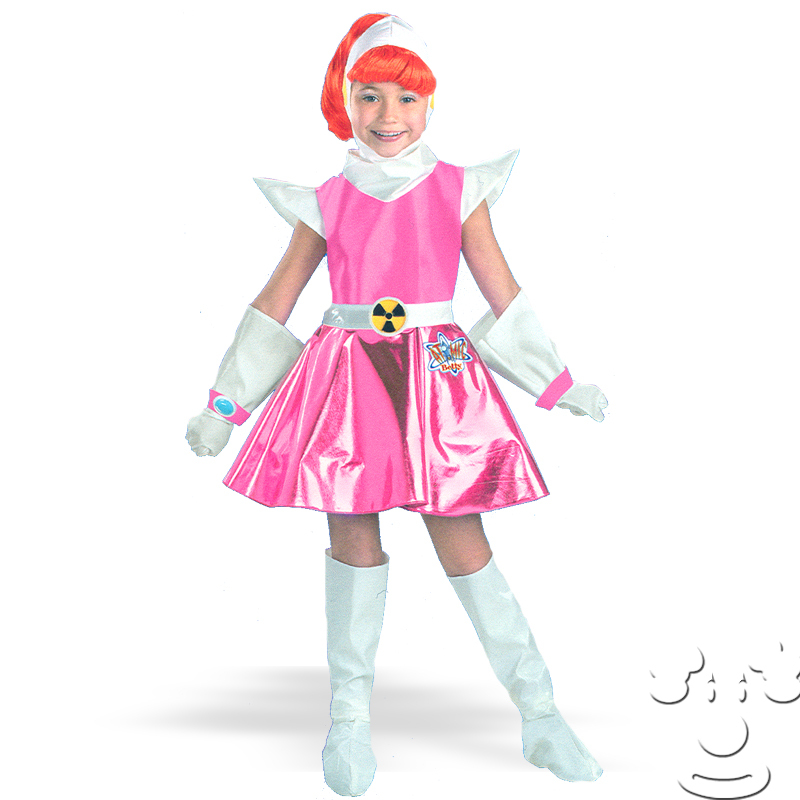 Become Intergalactic Rocket Jockey Atomic Betty in this deluxe costume. 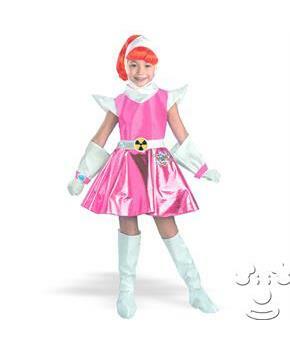 Costume includes dress with built-in petticoat, and attached belt with buckle. Headpiece, gloves, and boots sold separately. Available in child size 4-6X and 7-8.